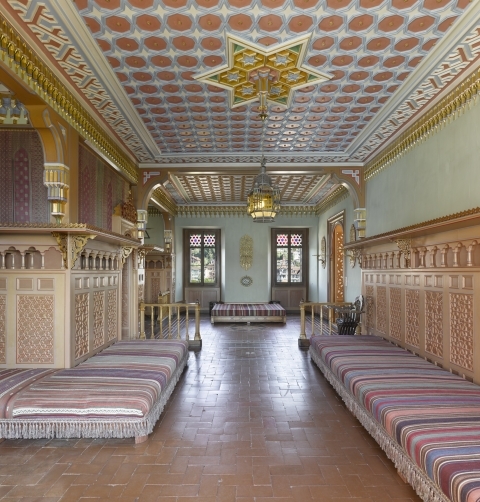 The oriental smoking salon has been restaured from 2010 till 2012 and is open to the public again. The visitors are invited to sit on the diwans and to enjoy the unique ambience. On the second floor are the bedrooms of the domestic servants who looked after the aristocratic family in the 19th century. An exhibition conveys the everyday life of servants in an informative and interactive way. Strolling through the exhibition, one gets a good idea of the Bernese upper class life style from the 16th to 19th Century as many generations lived in the Oberhofen castle. This is apparent in the different rooms displaying diverse styles of furniture from Gothic through Renaissance to Baroque— those of the French kings to Empire style, from Biedermeier to Historism. 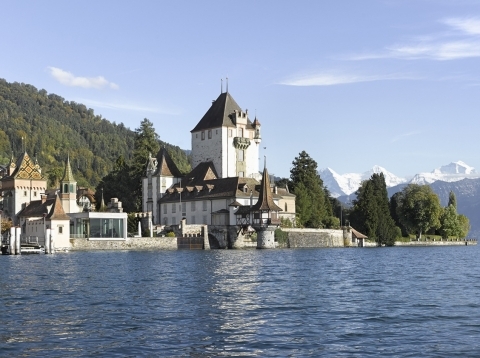 Oberhofen has become a living museum, a grand historic picture book.